Happy Friday and Happy First Day of June! After tomorrow, I think my busy season will finally slow down, at least for a few weeks. I'll be helping to host a end of the school year dance as a fundraiser for the PTO tonight and then I am leading STEM Saturday at work tomorrow morning! I can't believe next week is the last week of school for my girls. It's always bittersweet and even more so this year because my girls will be going to a new school next year. But I am looking forward to a little more sleep and lots of fun with my kiddos this summer! 1. Swimsuit | When I put together this post about Budget Friendly One Piece Swimsuits, I ordered a couple of them to try for myself and this was one that I personally picked. I spend a lot of time in a swimsuit at the pool, splash pad, and beach with my children so I wanted something modest and full coverage while still being flattering. This suit holds you in and covers appropriately! 2. Blue Light Glasses | I spend a lot of time staring at a computer screen or cell phone screen. This puts a lot of strain on my eyes so I was excited to give these blue light blocking glasses a try. So far, they are definitely helping with eye strain plus they are super cute. They are available on Amazon but if you don't have Prime (like me), I order a lot of items from Walmart. They aren't always actually items that Walmart sells in store but it's kind of like Amazon where there are many retailers plus the shipping is often free and pretty fast, too! 3. Gingham Top | I bought this top while we were shopping on Monday! The pretty gingham and the tie detail immediately caught my eye when I walked into the store. I usually wear a small in this brand and I found the size 6 to fit me best in this top. The color says "bright red" online but it's definitely more a coral pink color in person. 4. 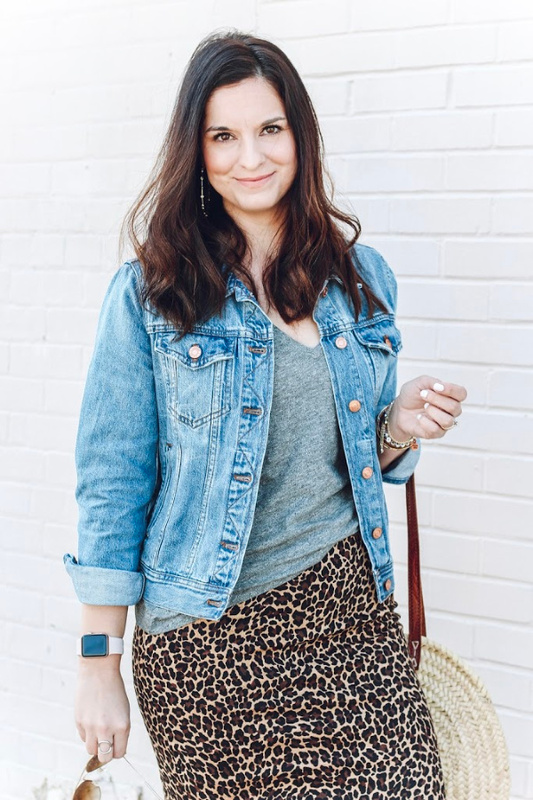 Denim Shorts | I recently purchased these shorts and I'm waiting for them to come in so that I can give you a full review but the reviews online are great! I was looking for a dark pair of denim shorts with light distressing so I'm excited to try these out. 5. Dress | Another item I've had on my list is a little white dress. I have several black dresses but I don't own a white one. I love the boho chic style of this pretty one plus it's budget friendly! 6. Floral Kimono | I also purchased this while we were out shopping on Monday and I love it! Pairing a kimono with a white top and denim is my favorite. I have already worn this and I got so many compliments on it in while I was grocery shopping! 7. 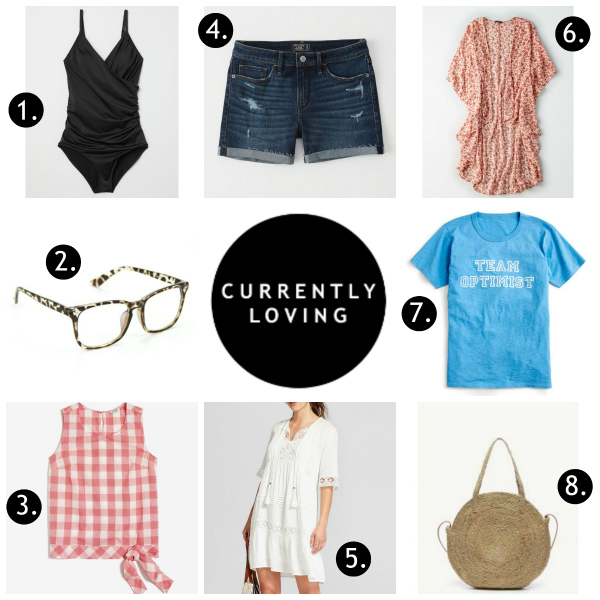 Graphic Tee | I am currently loving graphic tees! I love the color and the positive vibes of this one. I try to be on Team Optimist, always! 8. Straw Bag | How many straw bags is too many?! I am seriously thinking of adding this one to my growing collection of straw bags. This one can be carried by the handles or a crossbody. So perfect for spring and summer because it will go with everything!